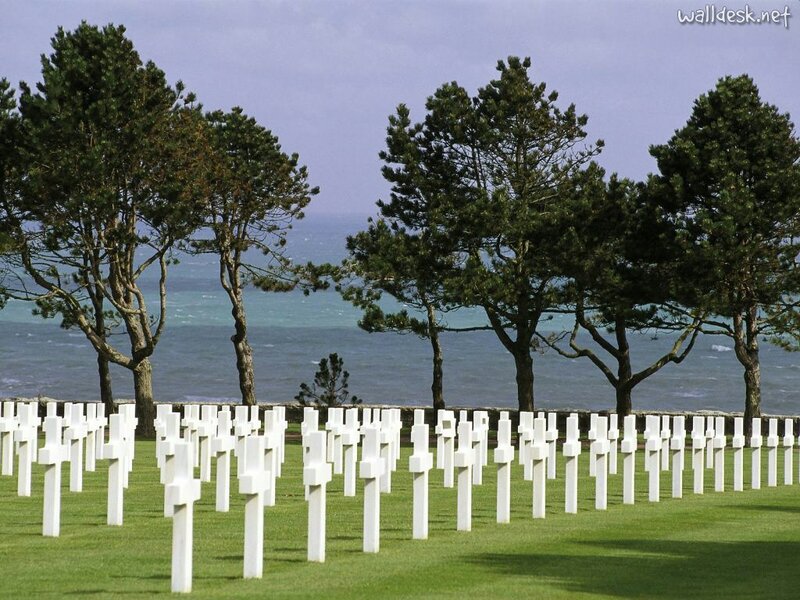 On June 6, 1944, 25,000 young men, Allied and German troops, lost their lives in Normandy, in some state of agony. It seems as if a devastating event of this proportion could only have occurred in the horrific day of modern warfare. And yet, sadly, not so. The cemetery sits high on the bluff above Omaha Beach–the very bluff young American soldiers struggled to surmount while under German fire. On the water, the sea crews struggled to bring their transport—men and needed supplies—onto shore to support the infantry. The loss of life on both sides was staggering. Though fictional, the tale of the Roman War account also tell of such fields of sorrow, and a connection between my Arthurian itinerary and this saturated, symbolic landscape begins to suggest itself. This is the experience of pilgrimage—walking a landscape in which the imaginative becomes linked with the physical, the literary text intersecting with the powerful presence of space–a passionate geography. My own experience at the cemetery entwines with Arthur’s sense of desolation: Jesu Mercy, what force of horror has taken the lives of these young men? Arthur’s words speak to this same shattering result : Alas, that any should see this doleful day! Gallery | This entry was posted in Uncategorized and tagged American Cemetery, Itinerary Literature, King Arthur, Le Morte Darthur, Meg Roland, Normandy, Roman War, Thomas Malory. Bookmark the permalink.